Many agencies have a reputation for being a revolving door. High turnover can hurt employee morale, and ultimately the bottom line. Having an employee manual to address topics like working hours and onboarding protocols can improve employee satisfaction, and reduce turnover. Below are some unique topics to cover for agency-specific employee handbooks. Inconsistent work hours tend to be the normal for most agencies. Including a work schedule guideline in your employee manual will help to manage expectations and foster sustainability – especially for new hires. Whether your employees tend to work 9-to-5, have flexibility depending on client needs, or if there is no policy based around specific hours because your organization focuses on results, these policies should be outlined in your employee manual. It is vital to implement an outline so your new hire can know what to expect. Having a determined schedule will encourage workflow and employees will have a better idea on how to work within those set parameters. Agencies commonly hire interns, co-op students, contract workers, and more. If your agency is hiring freelancers, ensure your agency managers understand the local laws and policies around hiring different types of freelance employees. The handbook policies should include the use of freelancer services live Fiverr and Upwork. The training process is valuable when incorporating new hires into your workplace setting. 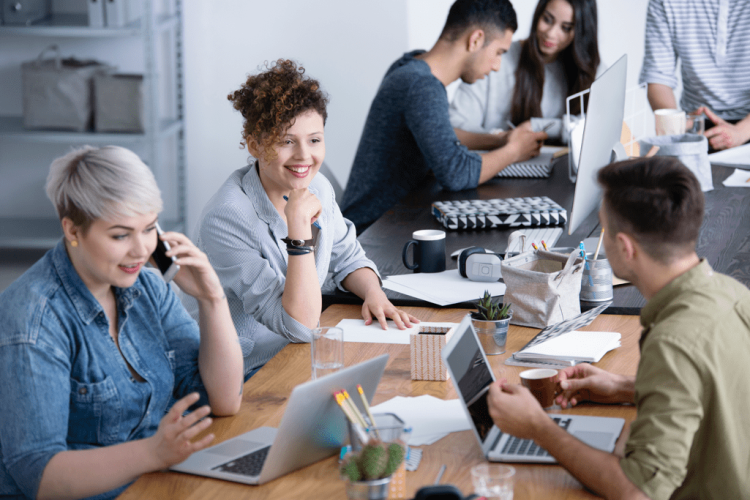 Clear, effective communication is an excellent way to stabilize the relationship and give the new employee a picture of what to expect and provide a clear view of the company culture. The culture within an agency is generally fast-paced with many different tasks to work on at a time. It is essential to outline your training process and keep the new employee up-to-date on current projects. By shadowing and mentoring the new employee, they will be able to take on client services and adapt to the culture more quickly. Many agency roles may involve attending after-hours events regularly. It is essential to answer questions around what types of events are mandatory to participate, and what is optional – for example; an account manager at a PR firm may be required to attend a client product launch event; however other networking events may be optional. Additionally, it is crucial to outline event dress code, and social conduct – for example; If there is alcohol served at a work event, are employees permitted to drink? It is beneficial for not only the employee but especially for the client if employees have the time to take breaks now and then. By embracing the need to recharge, employees will be revitalized and ready to embrace the next workload and a more energetic environment. Agency workers are often always accessible to clients. For example; they are still at the mercy of answering client phone calls or emails at any time. It is important to outline what your agency’s policies are around holidays, vacations and sick leave to ensure employees understand that they are entitled to turn email off and take the time they need to rest and recharge. It is important to have a professional demeanor when working in a business. Within agencies, many employees have distinct roles and the lines can blur as to what is appropriate attire and what appears to be too casual. By setting policy, every employee is a part of the culture and will benefit by being a part of the team. From client meetings to casual Fridays, it is important to outline your agency’s dress code. Your dress code reflects your agency’s image and company culture. At AirMason, we have employee handbook templates specifically designed for agencies – check out our online tool here.